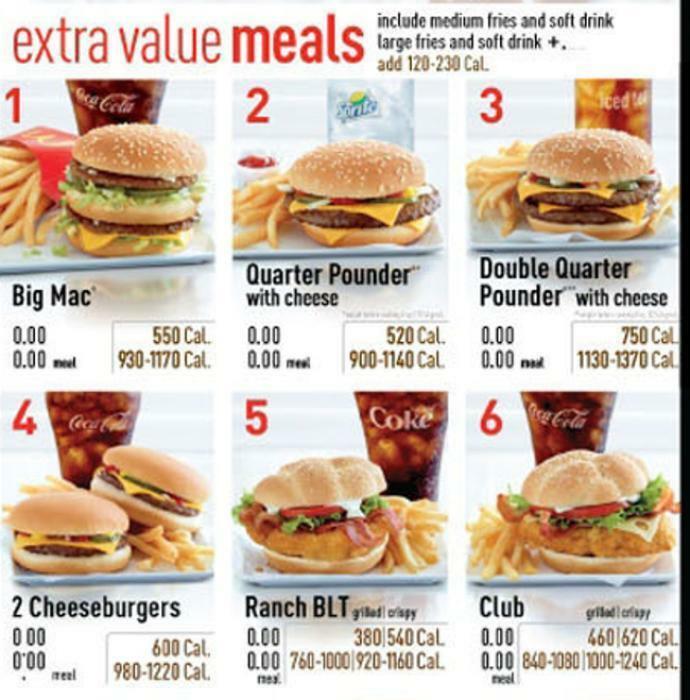 You walk into a McDonald's, look up at the menu board and try to decide what to order. After looking at the price, do you notice the calorie total for the item? And if you do notice, does it influence your decision about what to order and what not to order? Those are questions researchers at Arizona State University set out to answer, measuring the effectiveness of the calorie postings that McDonald's has been providing for 3 years, and which all chain restaurants with 20 or more locations will have to provide by the end of this year. What the researchers found is the more affluent and educated a consumer is, the more likely they are to notice and use the calorie data. Overall, they found that approximately 60% of participants in their study noticed the calorie menu labels but only 16% reported using the labels to determine food and beverage choices. Customers with higher incomes were twice as likely to notice the calorie labels and three times more likely to use them. The study is the first of its kind to examine the likelihood of customers noticing and using calorie menu labels in fast-food restaurants in a mixed income and racially diverse sample of adults. For someone who wants to control their daily caloric intake, having calorie data when considering what to order is a helpful tool. But the researchers say it's only helpful if you use it. Its presence at fast food restaurants is particularly important, they say, because fast food is the second-largest source of total energy in the diets of children and adolescents in the U.S. Other studies have linked frequent fast food meals with greater weight gain and obesity, leading to a wide range of chronic health issues. When Congress passed the Affordable Care Act, it wrote into the law the requirement that all chain restaurants with 20 or more locations nationwide be required to post calorie information on menus. But if consumers ignore the calorie data when ordering, what good is that? The Arizona State researchers say what may be lacking is context. When a consumer sees that a Double Quarter-Pounder with Cheese has 740 calories, what are they to make of that information? That statement was not present when the Arizona State researchers conducted their study and they say it could make a difference. “Including a statement with the daily calorie recommendations is key because it provides customers with the necessary context to make calorie labels meaningful,” said Jessie Green, the study's co-author. Schools could help too, Green says, incorporating calorie computations into curriculum. That way young consumers would better understand how many calories they need in a single day and make healthier decisions when they order fast food. How many calories you need each day depend on your age, height and exercise level. There are a number of online calculators, like this one, that can help you find your number.